WRVTH put up a new video for “Larkspur” check it out! The album is awesome, the video is exactly what I would have wanted to see from this band and the song, well the song is one of my favorites off the album. You will want to check the video out and definitely check out their website to pre order the new album. Scale The Summit have premiered a video for the song ” Blue Sun” off of their upcoming album ” V” due out September 18th. The song is a solid track for these guys, really displaying their blend of prog instrumetal talents. Today this morning metalheads like myself woke up to witness that the metal legends known as Iron Maiden released a video for their upcoming album Book of Souls. The song is ” Speed Of Light” and the first thing we have seen from Iron Maiden in five years. Iron Maiden fans everywhere are getting as excited as I am for September 4th 2015 when the album is released. For the few of you who have not seen the video I have it here for you to enjoy. On a side note, I like the fact that it has a video game feel, as i am the proud owner of Ed Hunter and would not be opposed to the band having another video game put out. hopefully on more platforms like playstation, Xbox and PC/Mac. 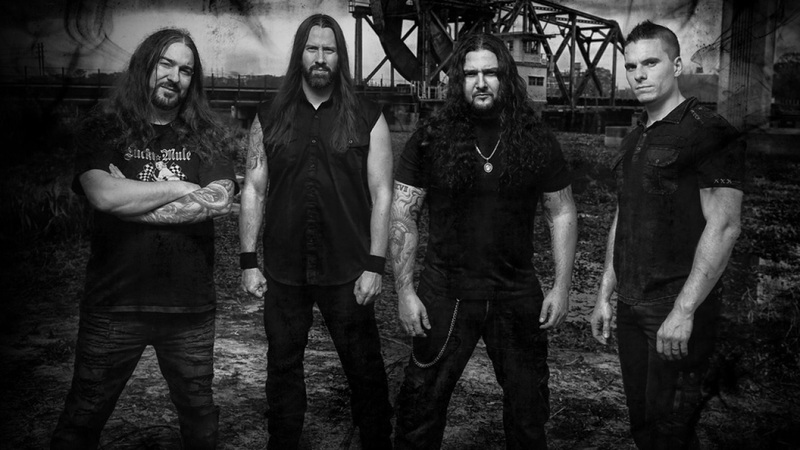 Today we see Kataklysm’s latest release ” Of Ghosts and Gods” their twelfth album. Just one of the great examples of what Canada has to offer for killer metal. To get the most out of this album they released 10 videos, one video for each song, lets start off in the track order. Digging this tune, the vocals actually remind me of At The Gates from Slaughter of the Soul. Not as deep and previous Kataklysm tracks like Shadows and dust. starts out with a solid mid tempo feel, picks up with that classic Maurizio Iacono style, definitely a solid song for the album. Blast beats right out of the gate, now this song has promise, more of that Kataklysm feel I am sensing. The first two tracks were good, but I am really enjoying this track more. When I think of Kataklysm it’s songs like this one I think of. This song starts off with a slow riff but when the drums kick in in has that looming death metal feel. The beginning is great really dig that section. When the vocals kick in its a slower feel to it but the pre chorus picks back up with Oli playing a fast beat on his drums. The chorus is solid, all in all a great tune. Really like this intro, I could probably listen to that on repeat, a solid marching tempo beat quarter notes on the crash feel, then fast riffing Oli delivering the blast beats with ease. This song starts out ready to rip you apart, when the vocals kick in it has a slower feel, with a pre chorus that keeps the same pace but transitions into blast beats. This song is a killer track a little short for my liking, but it is one of those tracks you will listen through and hit the back button again. Nice little PSA about the extinction rate of the worlds animal population in the beginning, the sound of animals in the jungle and then right into a nice guitar riff and drums. Takes a half time feel, but with a groove that you can move to. This is a song that when played live I envision pits just opening up and masses of bodies moving and colliding into each other. Not rapid blast beats like the previous tracks, just a solid death metal feel to this song. Nice double bass rolling for the chorus, nothing over the top they are basically keeping it pretty simple for this one. This song has that mid tempo feel again, its almost like they are trying to broaden their musical range on this album. Again there are fewer blast beats. There are only a few short sections mainly the pre chorus’s have the blast beats going. Pretty steady chugging riffs throughout the whole song. This song starts out with guitars holding a note, then Oli comes in with a drum beat on the rack toms and floor tom for a few bars. Then a drum fill into a nice solid heavy drum beat for about two bars, into a rolling tom pattern with crash on the quarter notes. Slow it down as vocals join in, the verse is simple yet sounds great, pre chorus guitar riff is nothing over the top but fits the song rather well. Not a bad tune, maybe not my favorite on the album though. Blast beats right away, this song sounds like it is made to pump you up and get you moving. As soon as the beginning transitions into double bass rolling death metal beat it keeps that feel for a few bars until the vocals enter the mix. Slower punchy feel. The chorus keeps that slower feel. This song so far is not bad, not every song on every album a band puts out will be great. The song does have its message, and the video is well done. The song starts out with what sounds like stringed instruments just playing random chords and then the guitars come in with a slight acoustic sound for a bar or two then distortion, tribal drum beat. this is a heavy track, at times the tempo changes from fast to slow, but it is a solid heavy track and definitely a great song to end the album with. This track is on my list for the top songs of the album, I really do like this song. In my opinion I like a fast Kataklysm song. When I heard Katakylsm for the first time it was a fast paced brutally heavy song, and so for me it set the bar high. The world is a dying insect is the best song they could have picked to end the album with hands down. All in all not a bad album, if you are a fan of Kataklysm then its worth the buy, if you are looking to try Kataklysm’s sound out to see if you like it, I actually hold other older albums above this one. but they did release a video for every song leading up to today so I do applaud them for doing something different that other bands have not done yet. Kataklysm may have just started a trend with this and we may be seeing more videos for metal bands before the albums come out. This is a trend that I would love to see because metal bands deserve to have music videos just as much as all the pop and hip hop artists out there. 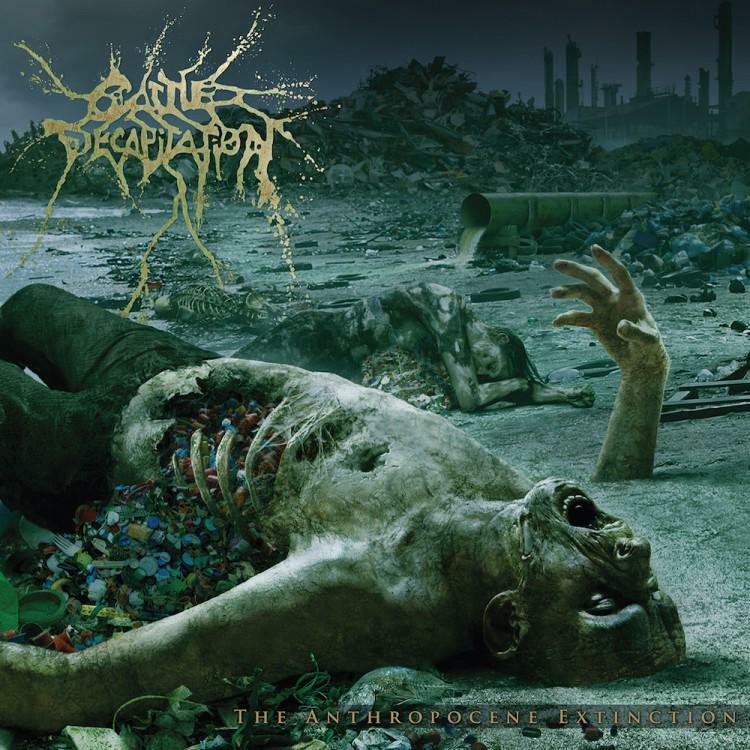 Cattle Decapitation and Dave Otero talk about the making of the new album due out August 7th. This is great getting to see the behind the scenes making of the upcoming brutal album by Cattle Decapitation. I personally can’t wait for the album to drop. www.metalblade.com/cattledecapitation check out the pre order bundles.